Thank you for stopping by on our date of the Afterglow Trilogy Tour! 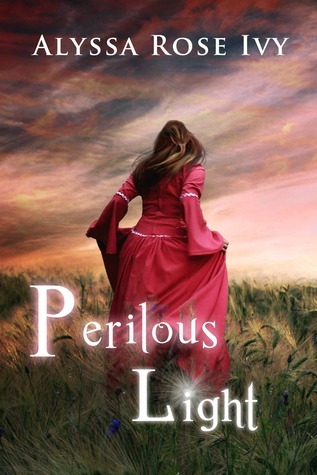 Perilous Light is the second book in the Afterglow Trilogy by Alyssa Rose Ivy. Would you sacrifice everything for a world you barely knew? A year has passed since Charlotte and Kevin first stepped through the gate into Energo and neither has been able to settle back into their normal lives. Charlotte tries to distract herself from thoughts of Calvin with the antics of James and her growing friendship with Liam. Kevin can’t seem to shake his feelings for Samantha as he adjusts to his new identity as a college basketball player. When they unexpectedly return to Energo, both Charlotte and Kevin must face their fears and become the leaders they were always meant to be. “I had fun hanging out with Liam,” I snapped. I was overwhelmed enough with my feelings for Calvin, I didn’t need James trying to make me feel guilty about spending time with Liam. “I’m not addicted to coffee.” I wasn’t about to admit my weakness to James. driveway. “I have another birthday gift for you.” His eyes danced with excitement as he ran his hands through his dirty blond hair. He had let his hair grow out, and he seemed more comfortable. I think he enjoyed no longer having to pretend to be someone else. “Another?” Turning toward him, I let the door I had just pushed open close again. Over the past few weeks, James had given me a bunch of gifts. He handed me an envelope. I opened it slowly, not sure what to expect. “Wow, seriously?” I eyed the two tickets. “You got Kiev tickets? But wait…” My excitement waned as I realized the tickets were for a small venue I had never been to because it was strictly eighteen and up. “What?” James asked with the barest hint of a smile. “You don’t?” James grinned as he slid something into my palm. ID?” I wasn’t really surprised. James might take his role of Guardian seriously, but he never really understood or cared about a lot of the laws in my world. Check out my reviews of books in this trilogy! 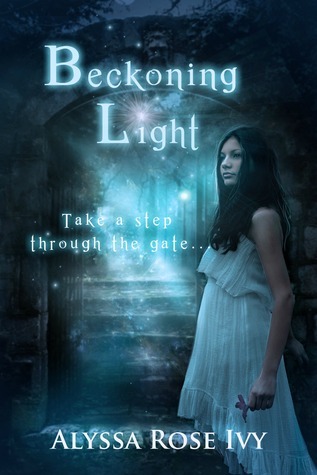 Check out my reviews of Beckoning Light and Perilous Light by Alyssa Rose Ivy! To read more about this series and the author, visit Alyssa Rose Ivy's Blog. You can also find her on Facebook and Twitter.